During the same period there have been a number of local events and activities – eg. use of the Shell Theatre for occasional free public events in the mid-1980s, the Broadwater Farm Residents Association annual carnival (which used to use the park, but now mainly uses the BWF community centre), a mother and toddler group using the hut for over 10 years, and the formation of Friends of Lordship Rec in 2001 who began organising annual summer festivals in the Rec the following year. 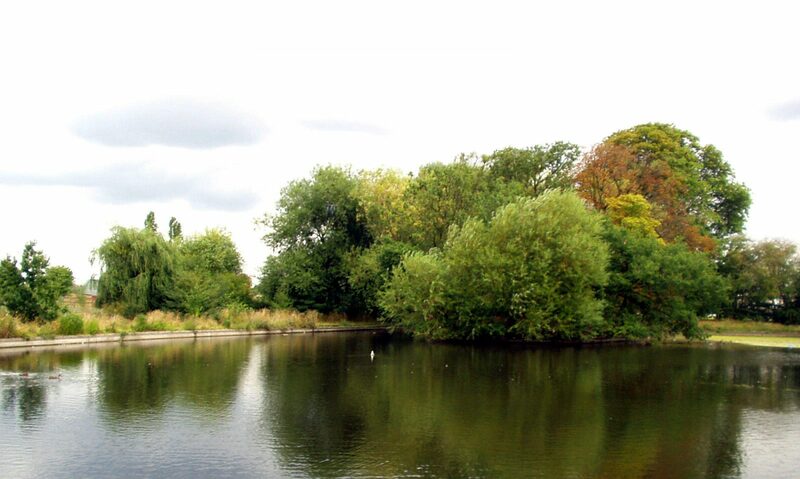 The following is a rough chronological history of consultation and engagement over the future of Lordship Rec since 2001, compiled with the help of Lordship Rec User Forum and Friends of Lordship Rec minutes. March 2001 ‘Friends of Downhills Park’ AGM agreed to help local park users set up separate groups for Lordship Rec and Belmont Rec. June 2001 50 people attended launch meeting of ‘Friends of Lordship Rec’ at Broadwater Centre. July 2001 Held a stall at Broadwater Farm carnival (in the BWF Centre) to promote discussion about the Rec and to encourage as many people as possible to get involved. October 2001 Autumn Open Day in the hut in the Rec kids’ area. Lively and useful discussions, and distribution of FLR questionnaires about ideas for improving the Rec. 2000 questionnaires delivered door to door. Around 60 replies. (Stamped address return envelopes would have meant many more returned!). February 2002 FLR organised public meeting in the Hut with members of council staff to discuss maintenance and security issues. Also discussed ideas for a summer festival. 6th June 2002 After months of planning meetings, 700 attended FLR Summer Festival with animals, picnic, art and craft workshops, stalls, music. Agreed to try to do this annually! June 2002 We arranged a FLR/LBH walkabout/inspection with a senior parks officer, and it was agreed that there should be a public consultation exercise to work towards a management plan for the Rec. September 2002 FLR met up with Pauline Ehonje and George Nicola (Council officers) to discuss how the consultation exercise that they had secured funding for could best be organised. October 2002 Widely attended users/agencies forum held in the Broadwater Farm Neighbourhood Office to discuss the consultation exercise. Users Forum & Network proposed by residents present. Users Forum starts meeting approximately monthly. (continued to present day). October 2002 Joint FLR/BTCV Autumn Open Day in the Rec (including plantings, pond clean up and public launch of the Lordship Rec questionnaire/consultation exercise and process) – supported by the Council officers. 3,000 FLR publicity leaflets for this were delivered by the FLR, Tower Gardens Residents Network and the Broadwater Farm Neighbourhood Office. 4,000 questionnaires were also delivered around this time as part of the consultation – 400 were returned. Over 150 of the returnees stated that they wished to be kept fully informed about the Rec. FLR wrote to all these offering to include them as members – almost all agreed. 2002-3 FLR make contact with Environment Agency about possibility of upgrading the River Moselle. Winter 2002-3 A number of FLR and Users Forum meetings were held to discuss the draft ‘Strategy for Lordship Rec’ report. FLR members helped draft the text of the report, which was agreed in the spring 2003. In February FLR launched monthly users ‘drop-ins’ in the children’s area hut, where users were invited to join the discussions about the consultation exercise and to help organise the annual FLR summer festival. This was publicised in mailouts to FLR members (now approx 280 members). June 2003 FLR organised the 2003 Lordship Rec Summer Festival, attended by 1000+ people. This and future festivals included a very wide range of activities, including highlighting and consulting over under-used facilities like the Model Traffic Area and Lake, as well as distributing FLR pamphlets of the history of the Rec. – The monthly FLR users’ drop-ins continued throughout 2003-2006, and FLR have held an AGM each year since 2001. These and other activities ( eg health or history walks) and open days etc have been publicised by FLR mailings to all members once or twice a year, and regular posters at the gates. The group produce a range of pamphlets about the history of the Rec. – Lordship Rec Users Forum meetings also continued approx monthly 2003-2006. There were also a whole range of sub-groups and related activities between meetings (involving residents, LBH officers and other agencies). – Sports teams and other residents’ activities based at the Broadwater Community Centre continue to use the Rec and be engaged in proposals for improvements there. – Friends of Graham Lee plant and manage trees by the Moselle in memory of a friend who had loved the Rec. – The Mother & Toddler Group continue to use and manage the Model Traffic Area building. 2003-6 Everyone agrees the MTA area ‘hut’ to be a key building urgently needing improvements and expansion. Sure Start interest, but problem attracting match funding. During 2005 the proposal to instead replace and rebuild became the preference. There is extensive consultation to develop ideas and options. End of 2003 Proposal by Woodlands Environmental Trust to do major landscaping works for free, in return for being able to import large volume of surplus topsoil from brownfield development sites elsewhere. This proposal led to a great deal of discussion, a site visit ( invloving residents and LBH officers) to a successful WET project in West London, preparations and LRUF consultation and debate. In the end the proposal was rejected as inappropriate and inadequate for what we all really wanted for the Rec. 2004 FLR bid for £25,000 for ‘Phase 1’ improvements to the lake area, a project to be managed by FLR, with advice and support from BTCV. Summer 2004 FLR Summer Festival hit by terrible weather, but 500 still attended. Oct 2004 Make A Difference Day. Vols planted bulbs and cleaned up the lake (co-ordinated by BTCV) and painted play equipment (co-ordinated by ‘Soul In The City’). 2004-5 – Active Play Projects £400,000 applied for for an adventurous play area, multi-use games area, and skateboard/ bmx park in the east side of the Rec. Project led by the Broadwater Centre sports association (and later a new organisation: Sporting & Educational Solutions) and the Haringey Play Association, backed by the Users Forum. There was a great deal of preparation, discussion within the LRUF, a major Active Play Consultation Day in November 2004 (including 4000 leaflets distributed throughout the area by FLR and others, and also the setting up of a special youth group to engage with the project). September 2005 2000 residents attend special Lordship Rec Festival to launch the Active Play Facilities and generally celebrate the improvements programme being worked on. Organised jointly by FLR, SES, HPA, SureStart, BTCV and LBH, with activities throughout the Rec. 2005-6 Community project to create a ‘ walkaround’ landscaped labyrinth in the Rec. This has involved a great deal of discussion and public consultation (especially with local schoolchildren) and is now almost completed. 2005 Children’s Play consultation conducted by Haringey Play Association. 2005-6 Phase 1 of the FLR lake project started and completed, with LBH match funding enabling more substantial works. 2006-7 The Friends, Users Forum and the Council work together to discuss and formulate a major bid to the Heritage Lottery Fund for £3.7m for the regeneration of the Rec. June 2006 Around 1,000 residents attended a ‘Heart of the Park’ celebration festival to launch the improvements to the Lake and also the new Kite Labyrinth. Co-ordinated by the Friends. January 2007 The Friends launch a ‘Lordship Woodlands’ sub-group in order to manage and improve the conservation woodland area. Organise a bulb-planting day along with BTCV staff. Apologies for any omissions or errors.